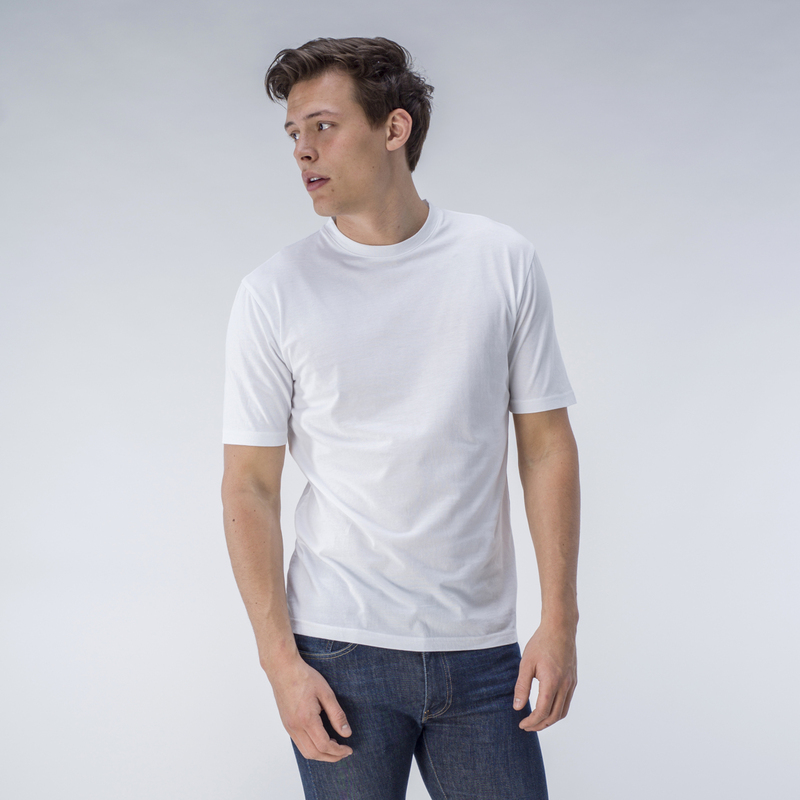 White cotton crew neck t-shirt. Soft enough to wear on its own or under your shirt. Made from carefully selected high-quality cotton to guarantee durability of the fabric around neck and seams. 100% cotton. Machine washable at 40° C.